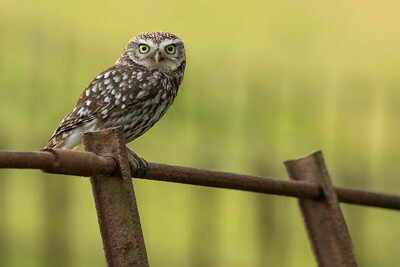 A cautious little owl. 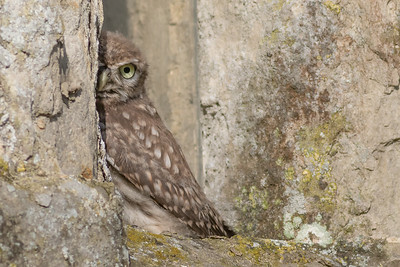 This newly fledged little owl was found among the masonry of a medieval church. 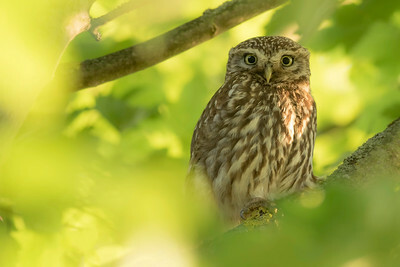 Wild Little owl on Kent farmland. 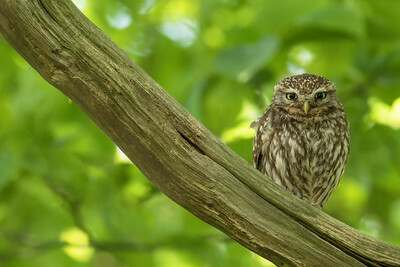 One of my local little owl's on Chartham Downs. 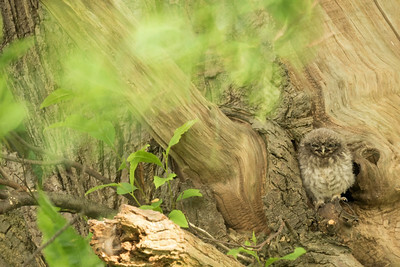 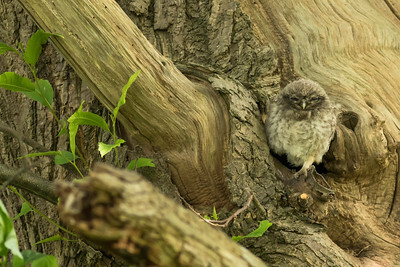 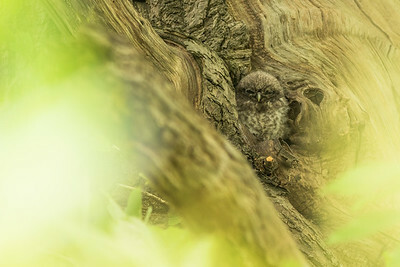 Little Owlet newly emerged from the nest tree. 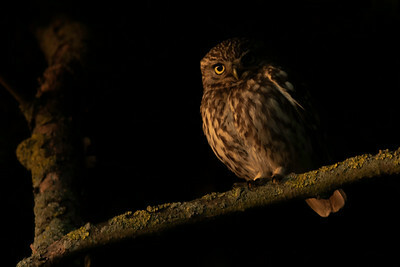 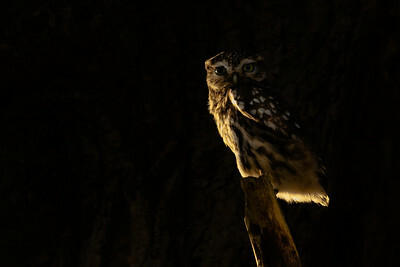 Little owl hiding in the shadows. 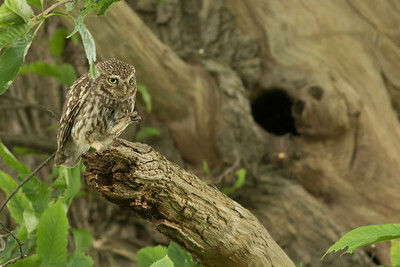 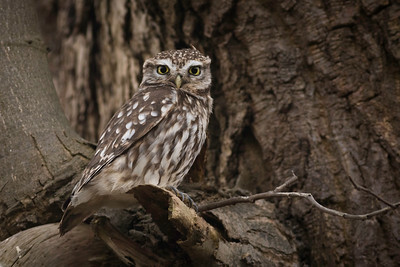 Little owl near Canterbury Kent. 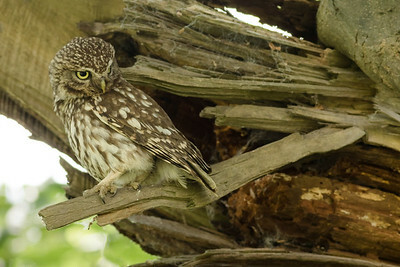 This gallery may not be particularly inspiring at the moment as it is just made of perched shots. 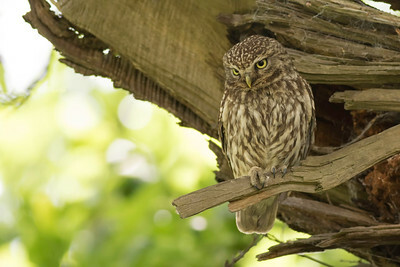 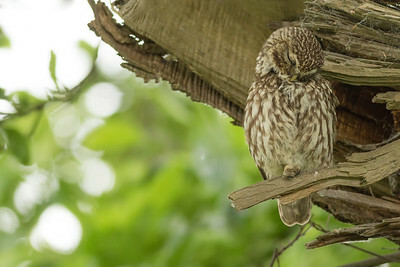 I am lucky enough to have several breeding pairs of little owls close to where I live so I am hoping to rectify this soon.